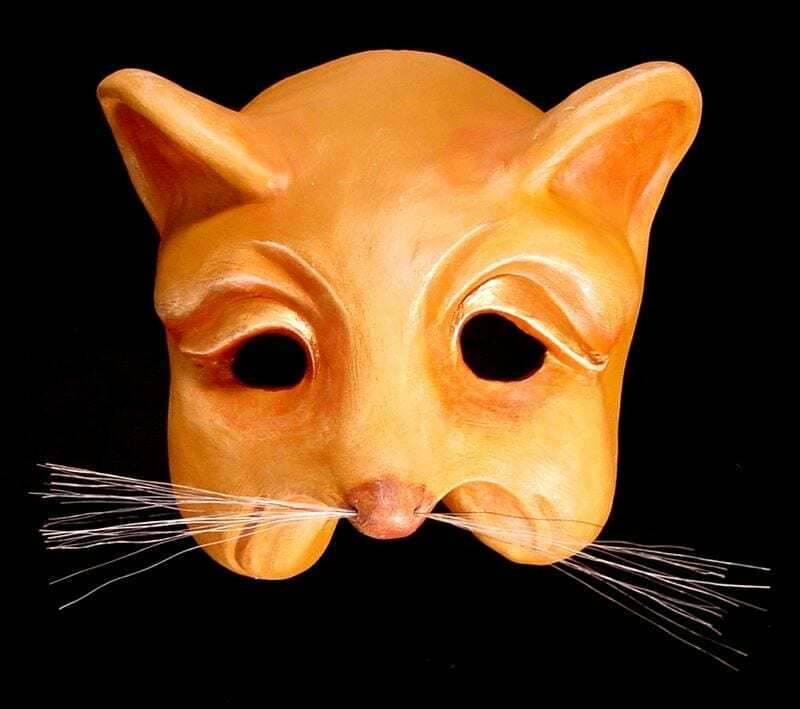 The Mouse half mask is a high energy, kind mask. This mask has an adjustable strap, is padded at the back and built to withstand the long run of a show or classroom use. It is easily cleaned with sanitary wipes (it comes squeaky clean). Mouse is always insisting that he is not delicious–not in the slightest. Too furry to be an hors d’oeuvre, too speedy to stay on a plate, and too small for a lion to enjoy. That’s for sure. Mouse is also exceptionally gifted with knots, a skill he learned during his brief tenure as a Cub Scout. He was dismissed from the troupe when it was revealed that Mouse was not a cub, but actually a mouse all along. Nonetheless, he got to keep his badges, and that’s what’s important.